The scene goes like this. You arrive at your local parish church for Sunday Mass and you have 2-3 minutes before the celebration begins. When I grew up, this was fairly typical and it provided a few moments to look around and check out the folks in your pew or a few seats in front of you. Before you knew it, Mass would begin and you were off and running. Today, the scene plays out differently. The arrival is similar. The pews feel the same, hard as ever. Nothing has changed about the Mass. It’s what’s in your hand that has impacted those few moments before Mass. The supercomputer, known affectionately as a smartphone, has invaded our churches and more importantly, our minds and hearts. What used to be a few minutes of boredom or curiosity before Mass is now just another time when we pull out our phones. God forbid we would miss an email, text or Facebook post from one of our hundreds of friends. It seems, sadly, that we’ve begun worshiping our phones when we should be praying to God. Smartphones have tapped into every buffer in our days- waiting in line at the grocery store, pausing at a red light while in traffic, and unfortunately in the few moments before Mass. I know, I get it- we need our phones to schedule things and communicate and get our email. The problem is that our iPhones and Samsung Galaxies (with “infinity displays”) have sucked all of the oxygen out of what used to be moments of ordinary life. The real danger isn’t so much that we are tethered to our phones with our hands and portable chargers. No, the more subtle invasion reveals that our phones have begun to influence our prayers. Let’s be honest in saying that it’s more interesting and dopamine-inducing to check our Twitter feed than pray to a God we cannot see and rarely hear. The prayer challenge for all of us isn’t to put our phones down completely but to calm the noise they produce in our heads. The good news is that a steady diet of “less”, marked by strategic days off from technology can break the chains that currently bind us. 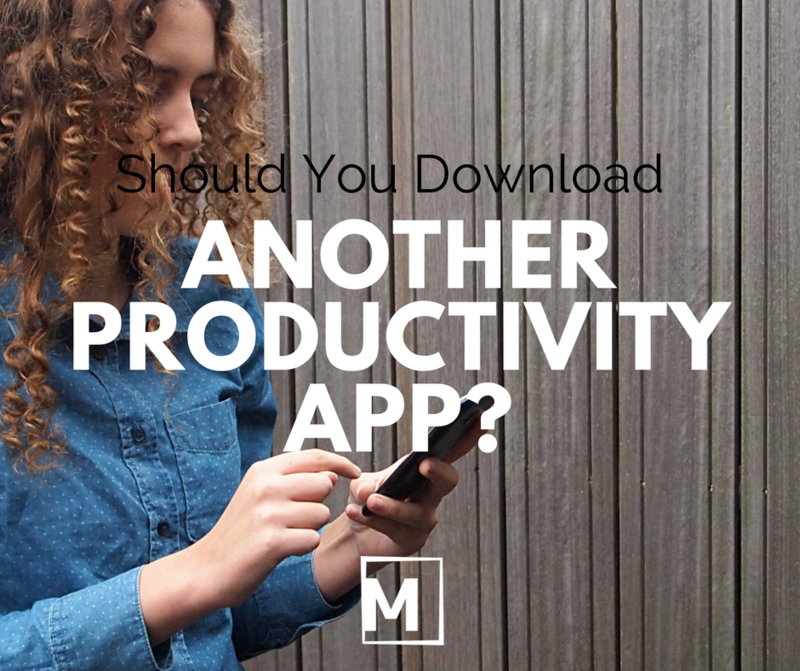 Some apps can help with using our phones less during the day. Apps like Self Control (for Mac) and Moment (for your phone) can monitor your phone usage and report back to you in terms of how often you’re using your phone. Just seeing that you picked up your phone 45 times on Monday is a powerful motivator to use it less on Tuesday. This is similar to having a weight scale in your bathroom- an occasional weigh-in is a powerful motivator to eat just a littlebit less. Apps are only part of the solution. What I’ve found to be the most effective means of breaking our addiction to our phones is to take a day off from them each week. By using a “digital sabbath”, we reintroduce ourselves to a simpler time and marry our busy lives with the ancient practice of sabbath. I’ve been using a digital sabbath for several years and have found it to be deeply spiritual. A digital sabbath gives us permission to reconnect with people offline. Conversations seem richer. Naps find a way back into your schedule. Twitter and Facebook can wait. Best of all, a digital sabbath gives license to time with the Scriptures and time alone with God. By temporarily pausing your use of technology, you are giving God space to do what God wants to you in and through your life. That’s a wonderful thing. Technology isn’t a bad thing. With a little practice and some useful tools at the ready, you can regain focus when you pray and be at peace with God. We’ve all been there- you sit down to do some work at your computer and you get distracted. ...which then takes me down the rabbit trail of three other articles related to the same topic. Ready to Reduce the Noise Around You? Download the FREE PDF, "5 Ways That Noise Wreaks Havok on Your Prayer Life." The rabbit trail is a dangerous thing. It's seductive really. The rabbit trail taps into our desire for quick, dopamine-inducing searches and internet expeditions. The rabbit trail affects us all, whether we are aware of it or not. If you have an internet connection, you've experienced this. If you use social media, you've experienced this. If you have a smartphone, you know what I'm talking about. I suppose the question is this: what are you going to do about it? Another tactic you might try is to use an iPad for as much of your work as possible. While you can certainly multi-task on an iPad (with split-screen that allows you to have two apps side by side), it lends itself to using one application at a time. Whether you go with the iPad or the apps that I mentioned above, the key is to outsmart the distractions in your head. Once you do that, you’ll be more free to do your focused work. BONUS: if you’re a person of prayer, you may want to try White Noise in order to set the mood and tune out the other noises around you. While this isn’t practical for praying at church, it does the trick for those times when you want to have a quiet time at home but just can’t seem to tune out the noise. The smartphone cometh and has taken us to places we never imagined. Did you know that, according to Pew Research, only 15% of teens do not have a smartphone? That means that the kid next door to the kid next door to the kid next door... all using smartphones. I can remember just a few years ago when smartphones were kind of a luxury. Today, not so much. There's more- the average person, according to AOL News, unlocks their phone 80 times per day. Think about that for a moment. We unlock (and then use) our phones 80 times per day. What else do you do 80 times per day? I can't think of anything if I'm honest. When I first read that last stat, I didn't believe it. Then, I tested out an app called Moment. I realized that I was picking up my phone way more than I realized. Dozens of times per day to be exact. Can you relate to all of this? Do you pick up your phone more than you’d like, feeling tempted to check it even in the thinnest moments of your day? What can you do if you are starting to feel as if your phone is taking over your life? I suggest one simple thing and it’s called The Digital Sabbath. The Digital Sabbath is a technique borrowed from ancient Judaism and Christianity whereby believers would take a day out of their week to rest. The concept was deeply baked into the DNA of adherents: no work, just rest, play, enjoyment and renewal. That sounds good, doesn't it? To most of us, this idea sounds cute. I used to think this too until I started to take it seriously. I figured I had nothing to lose so I picked Sunday as my day of the week. Since I’m a Catholic Christian, this also made lots of sense. Sunday would be the day when I would try not to use my phone. Define what “digital” means to you. To me, it’s mostly my phone + Twitter + Facebook. I don’t feel tempted to check Instagram or LinkedIN any more so those didn’t make the cut. Decide why you want to do the sabbath in the first place. For me, it’s a break, a breather and a barrier. I need rest from digital usage. I want to breath a different pace of life and finally, I want to gradually create a healthy barrier between me and my technology. A day off helps me to do that. Don’t beat yourself up. If you mess up and suddenly check your phone at a point in the day, be gentle with yourself. Put it down and get back to whatever you were doing. It’s ok. When with others, keep gadgets out of sight. Fight the urge to place the phone between you and your partner when you’re eating a meal or having a conversation. When watching TV or a movie, keep gadgets far enough away that you’re not tempted to reach for them. This might apply to a tablet or your phone or your laptop. Pick up a book. Grab one that you really enjoy and have been looking forward to reading. Give yourself permission to read something analogue (a book, newspaper, etc.). Include nature or leisure. By going outdoors or to a museum or street fair, you’ll “trick” your brain and distract yourself. To the degree that you can divert your attention to truly beautiful things (art, music, nature, etc. ), all the better. Celebrate the end of the sabbath. It’s ok to enjoy checking Facebook or email at the end of the day. Like breaking a fast, this is when you can reconnect with whomever you need to online. These eight elements can make for a happy and productive digital sabbath. Why not schedule your next digital sabbath? When can you put down the phone and take a day for yourself to unplug? My first stick-shift was an old pickup truck and a summer job allowed me to deliver engine parts to local garages. I was a terrible driver and I was lucky that I wasn't fired- it was that bad. Work can feel like this too- back and forth, tossing and turning from one thing to the next. The modern workplace is built to chop up our day into small blocks of time. The problem is that the boundaries of our "blocks" are fuzzy. Every "got a minute" takes us away from our ability to focus. When our days are filled with lots of interruptions, it's very hard to get our heads back to a focused state. It can take several minutes to refocus after being interrupted. Meetings are much the same, draining our energy and taking up an awful lot of time. Too many interruptions (and/or meetings) can leave your head spinning and your day totally wrecked. These work-killers are nothing more than "noise", creating a slow hum of displeasure in the day. With each interruption, you lose your head of steam and become more and more irritated. By the time you leave, you are frustrated and can feel defeated. To counteract these pesky bugs, one thing is necessary: deep work. Deep work is the ability to focus, without interruption, on meaningful and challenging tasks for a prolonged period of time. Check out this post about how deep work can help clear your head and further expand your ability to do deep work. The question remains- how much deep work do you need in order for your day to feel good? After all, most of us can't afford an entire afternoon alone in an office, doing deep work. An hour without interruption might be satisfying enough. Imagine a day with just two blocks of uninterrupted time? As you begin to experience time-focused periods of your day, you'll begin to notice something. You'll notice that you're not as frustrated when the interruptions do come along. This is because you know that you've already tasted "the good stuff" (of uninterrupted work) and you desire it even more for the rest of your day or later in the week. Having a block or two of deep work under your belt helps to "absorb" these interruptions. Let me share a personal story to help make this point. I was feeling particularly disjointed a few weeks ago. I knew that this was the result of not scheduling several hours of focused (i.e. "deep") work. As a person of faith, I try to see my work as part of my relationship with God. As such, I turned to prayer in order to recalibrate my day. My prayer was very, very simple, "Lord, just give me the courage to do deep work, if even for a briefer time than I would like." I just needed to get into the zone and then all would be well. No more distractions, just focused and deep work. This turned out to be exactly what I needed and my day went much better. I turned off the noise in my head and the noise around me using an app called Self Control. This forced me to write, to create and to ultimately finish a project that was in need of closure. When all was said and done, I felt great. My day was rescued because I was able to dial back the noise, focus and put my head down in order to work. Can you relate? If you look back on the past week, can you name a day when you went home and felt as if you got absolutely nothing done? As you look forward to the week ahead, where can you schedule blocks of deep work when no one and nothing will be able to interrupt you? Once you schedule these blocks, you'll be in the zone and feel great about it!